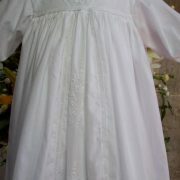 The most stunning christening gown ever created by Little Doves. This gown is grand yet understated at the same time. 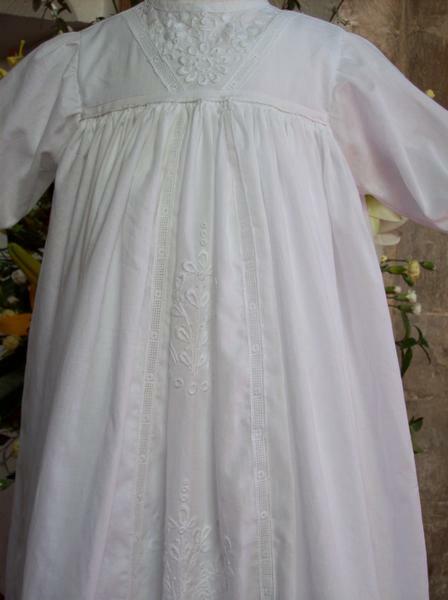 Made from the finest cotton lawn, the gown is decorated with a wonderful hand embroidered front panel containing four clusters of flowers. 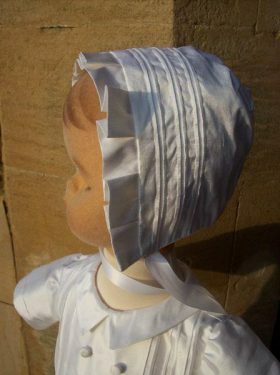 The panel is attached to the skirt with a fine white vintage braid and additional hand embroidery decorates the corners of the braiding. 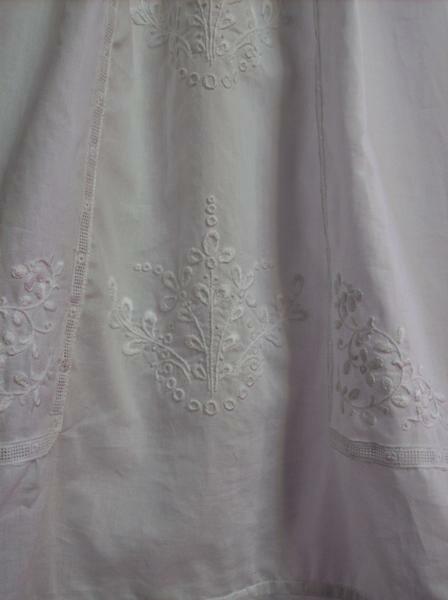 A large Swiss lace trim completes the skirt edging. 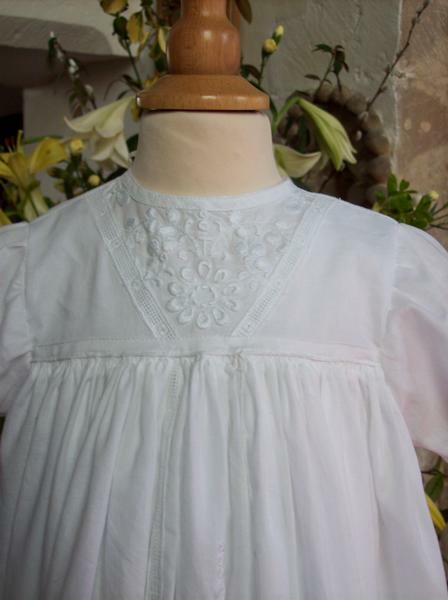 The small yoke is dainty and again simple in style but is made wonderful by the decorative hand embroidery and braid trim. 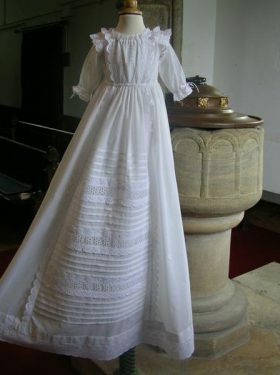 The yoke is joined to the skirt by the guauging method, a Victorian hand sewn technique that ensures perfect and minute pleats are created. 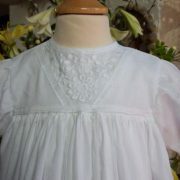 The sleeves are also simple in detail with small cuffs that compliment the plain neck detail. 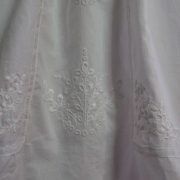 Pintuck pleats are featured on the back yoke to give some additional interest. 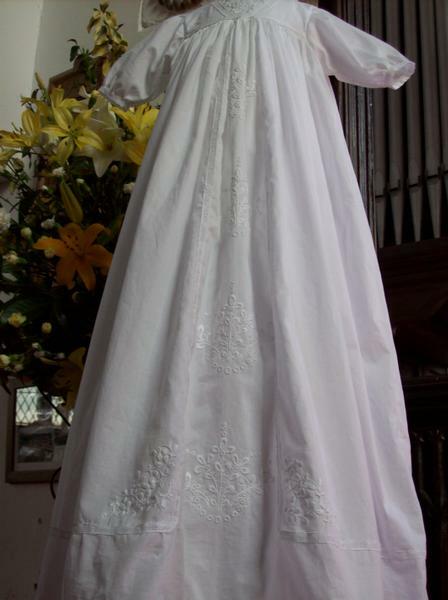 All in all a magnificent and pretty gown, full and long, and decorated with the most delicate hand embroidery that takes up to 50 hours to complete. Alternative embroidery designs are available, or maybe you have your own crest or pattern that you would like embroidering instead. Simply contact us for further details. 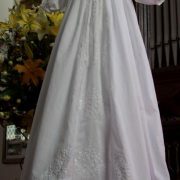 Please note: the price will differ if alternative embroidery patterns are used. 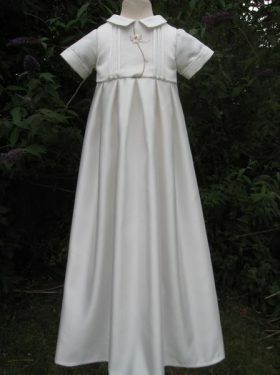 A range of matching gifts and accessories are available for the Verity gown. 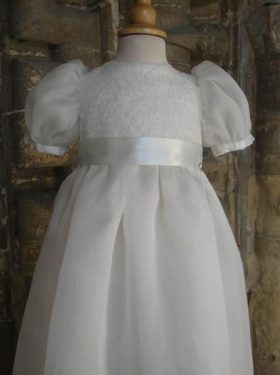 All Verity Gown accessories are made to match the Christening Gown using the same cotton fabric and matching Swiss lace trim.